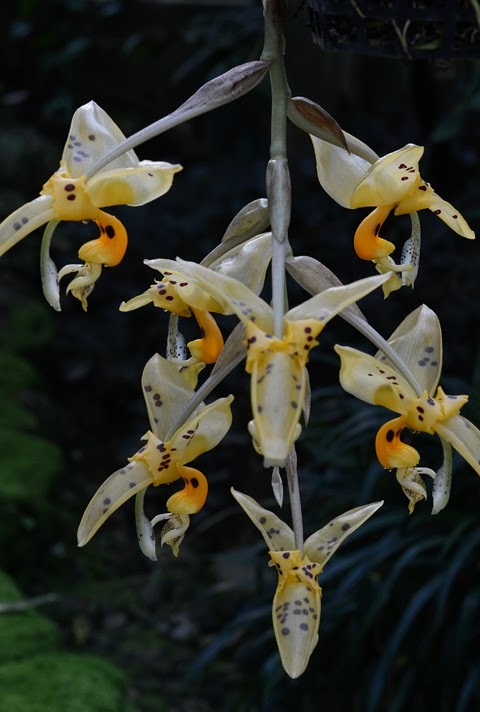 Stanhopea jenischiana grows as an epiphyte in very wet forests at 800 to 1500 meters elevation in northern South America and possibly southern Central America. That elevational range puts S. jenischiana among the intermediate temperature stanhopeas. Night temperatures dipping into the mid 50º's won't faze this Stanhopea. 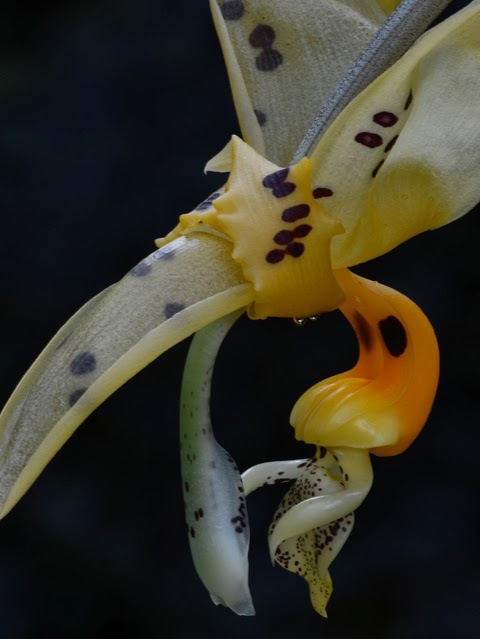 It has two sister species, Stanhopea frymirei and Stanhopea embreei, which have very similar floral morphologies, nearly identical fragrances and share some of the same pollinators. But there is no evidence so far of overlap in their geographical distributions. S. frymirei and S. embreei both grow on the western side of the Andes, but at different elevations --S. frymirei in the warm lowlands at 50 to 500 m., and S. embreei higher in the mountains at 500 to 1200 m. elevation. 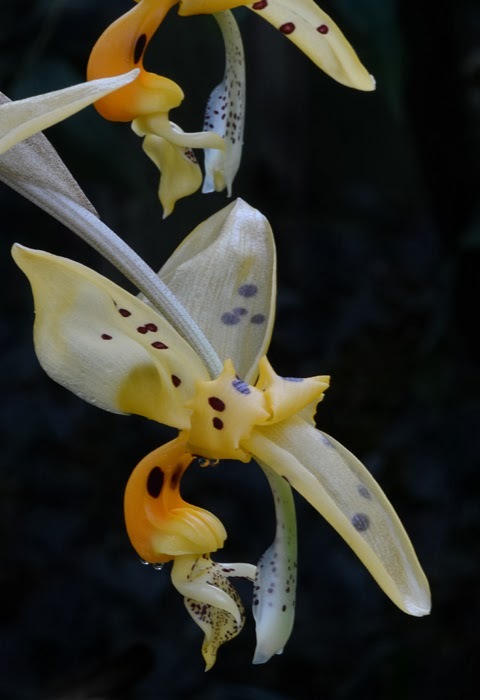 The fragrance of Stanhopea jenischiana is mostly methyl cinnamate. It is a warm fruity-floral scent lacking the tangy licorice component belonging to S. embreei.